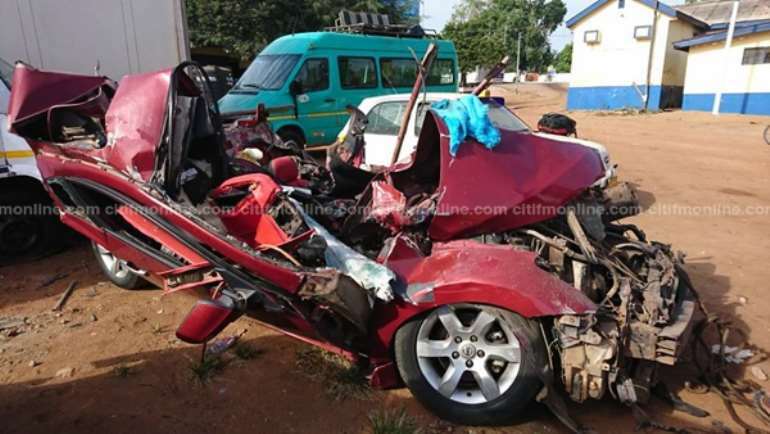 At least one person is feared dead in a car accident on the Airport-Madina road. 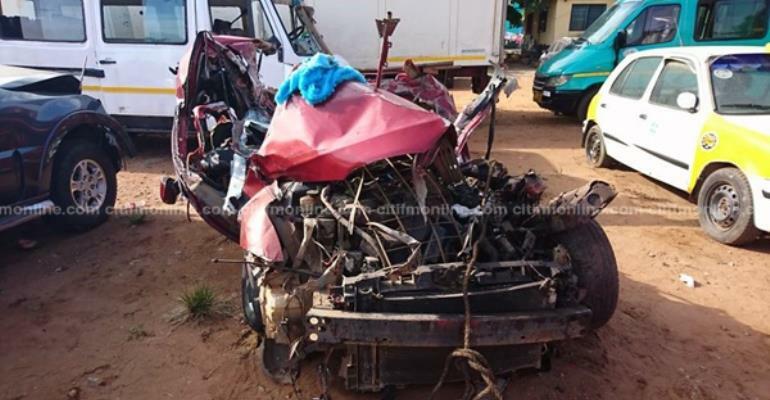 According to an eyewitness who spoke to Citi News, the accident happened at about 4: 45 am on Sunday morning when a saloon car crashed into a cargo truck with Togolese markings. “The truck was overloaded. We were here and we saw this truck hit the overhead so we all run and came. We saw all the goods had fallen to the ground so the man was lying here,” the eyewitness recounted. As the cargo truck’s occupants were trying to sort out their fallen goods, a policeman arrived on the scene and ensured that the truck driver utilized the triangle and hazard lights. But it was after this that the salon car, being driven by a Caucasian man, crashed into the truck. The driver of the truck, later speaking to Citi News, said the driver of the crashed vehicle was possibly overspeeding. “I noticed a vehicle at top speed getting closer and the driver tried to stop his car but failed and the car crashed and was wedged beneath my truck. The police have carried the body [of the driver] away and I am waiting for their return,” the driver narrated.